An exciting new Pathfinder adventure begins! The Pathfinder heroes receive a desperate plea to unmask a killer stalking the chaos-gripped city of Korvosa. A new queen has ascended the city's Crimson Throne, and now deadly armored Hellknights and Gray Maidens clash in the streets. With the help of a cagey adventuring detective, the heroes race down the perilous trail of a brutal murderer - only to realize that the next target might be one of their own! Dare the magic and monsters of gothic Korvosa in the first sword-swinging issue from Pathfinder co-creator F. Wesley Schneider (Pathfinder Hollow Mountain, Bloodbound), with art from Ediano Silva (Grimm Fairy Tales, Hellchild: The Unholy). 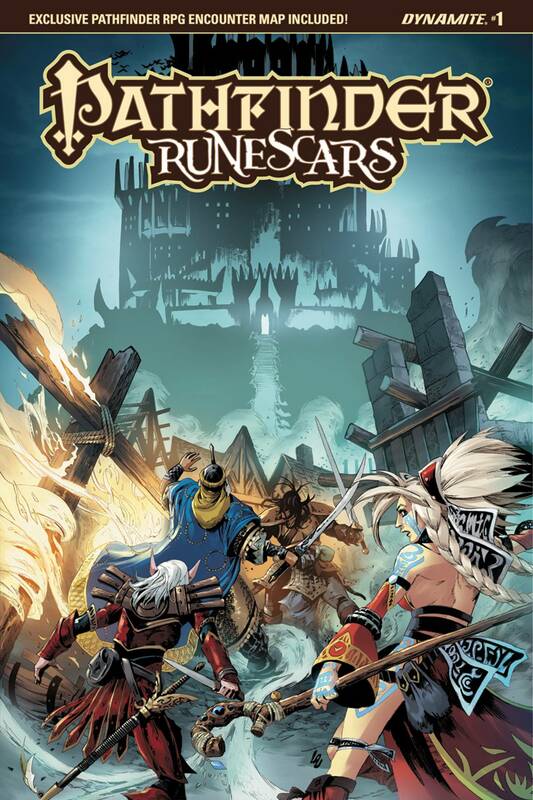 Contains pull-out poster map and official Pathfinder RPG bonus encounter!